Today I would like to share this card that could be used for a wedding or an anniversary. 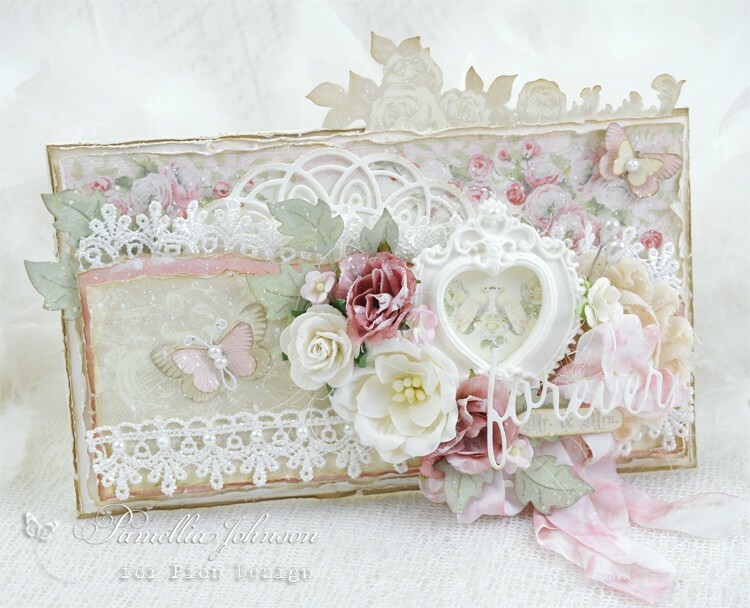 I have used papers from the Easter Greetings and Vintage Wedding collections. They go so well together to create a lovely romantic feel. 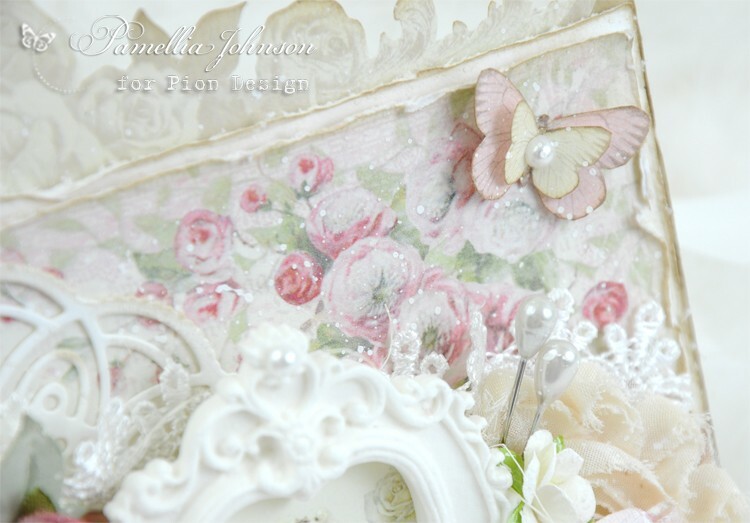 Pamellia wow fantastic card and so romantic with the heart. I like the papers and the colour scheme with the lovely flowers.